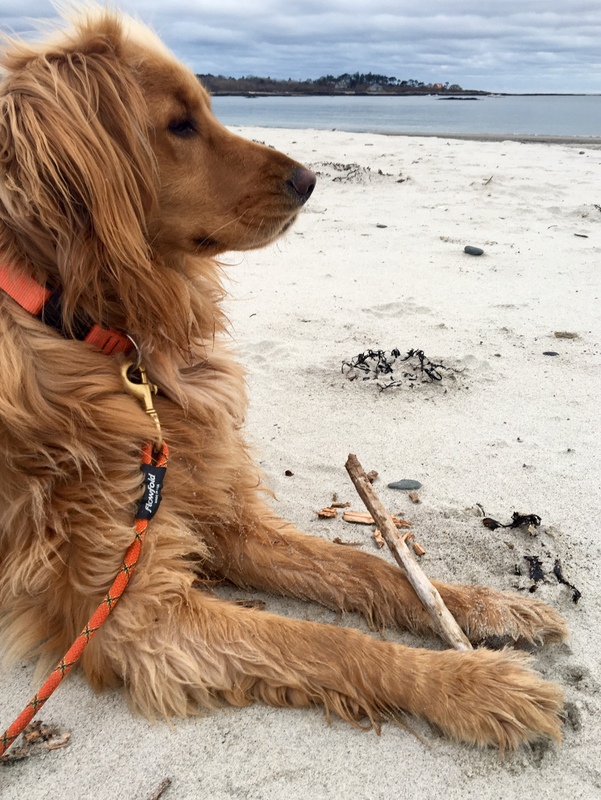 Maine’s outdoor tribe can now snag a Flowfold x Sterling Rope leash at select L.L.Bean stores. 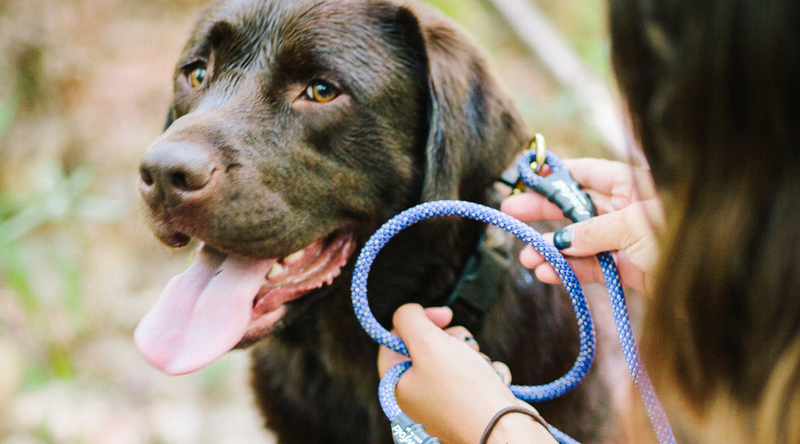 Taking your hiking pup, crag dog or ski pooch with you on adventures gets even better when your furry friend is clipped to the end of a leash made out of climbing rope. 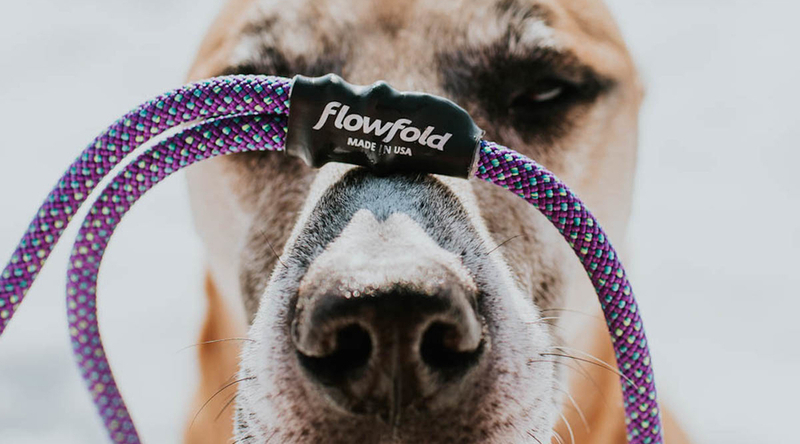 That’s what minimalist outdoor gear brand Flowfold thought when it teamed up with Sterling Rope to create leashes out of recycled climbing ropes. The two Maine companies are feeling the love even more with a newly formed partnership with L.L.Bean. Maine’s outdoor tribe can now snag a Flowfold x Sterling leash at select L.L.Bean stores, perhaps while picking up another pair of the footwear company’s iconic duck boots. Sterling Rope, located in Biddeford, ME just 13 miles down the road from Flowfold, is happy to give its rope a second chance and in the hands of more people looking to get outside. Every Sterling rope is made in the USA and inspected by hand. The ones that don’t pass muster make their way to Flowfold to be turned into six-foot leashes in a variety of colors. L.L.Bean, a short ride up Route 295 from both Sterling Rope and Flowfold, makes some of its most iconic products out of its Maine factories in Brunswick and Lewiston and has always encouraged wise stewardship of natural resources and respect for the environment from all of their stakeholders.